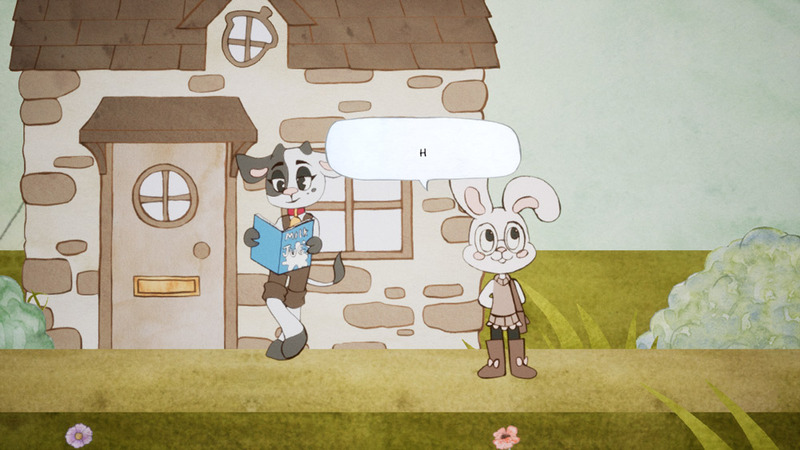 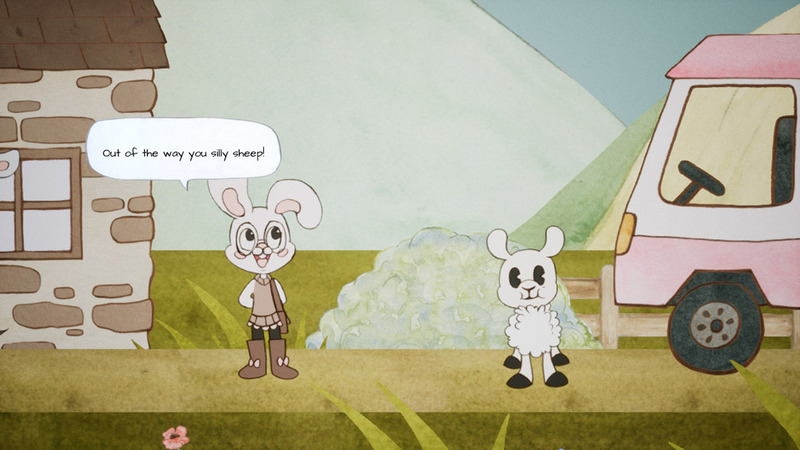 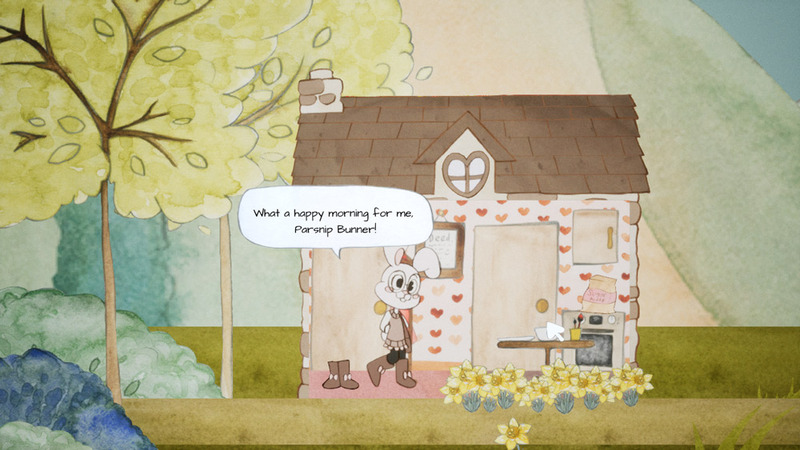 "A beautiful cartoon point and click adventure"
In Parsnip you play as little rabbit named Parsnip, upon realizing that you have used all of your baking ingredients and will not be able to bake a cake today you set out on an adventure where you will meet lots of other animal creatures who can help you find the ingredients that you need to make your cake, sometimes when meeting these friends throughout your woodland village you will get certain quests such as moving a sheep out of the road and in return for completing some of these objectives you may even receive more ingredients meaning you can finally bake your cake. 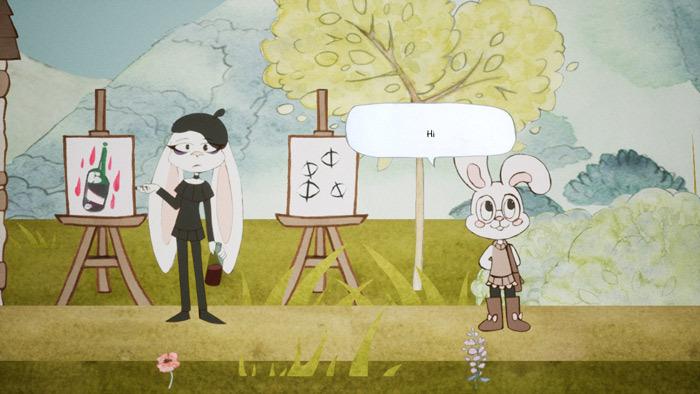 When you set out you have a list of ingredients that you will need to find either lying around or by talking to other people inhabiting the world, and it is a very beautiful hand drawn world that you get to explore in Parsnip with lots of friendly and fun people to talk to, the game is simple enough and items that may be of use you will see the hand signal when you hover your cursor over them, you can then either inspect the items or take them however if they are an unnecessary item Parsnip will tell you so that you don't overload your inventory with useless items. A wonderful hand drawn game that can be enjoyed by players of all ages, you can download Parsnip here for free.